I love brown rice. It's my go-to starch for the 21 Day Fix. I think it pretty much complements anything. But sometimes even I get tired of plain old brown rice. Plus, since I have recommitted to the Fix way of eating, my sweet tooth is angry. Enter this recipe. It's filling - thanks to the edamame and pecans - but not too heavy. It's sweet - thanks to the cranberries - but not overpoweringly so. And the best part? It's easy and quick, provided the rice is already cooked. If not, then it takes a little more time, but since the rice cooks undisturbed, it's hands-off time. Let's get to it, shall we? If rice is uncooked, prepare as directed. Place pecans on a baking sheet and bake at 400 degrees for 10 minutes to toast them. They should just be slightly fragrant at this point. 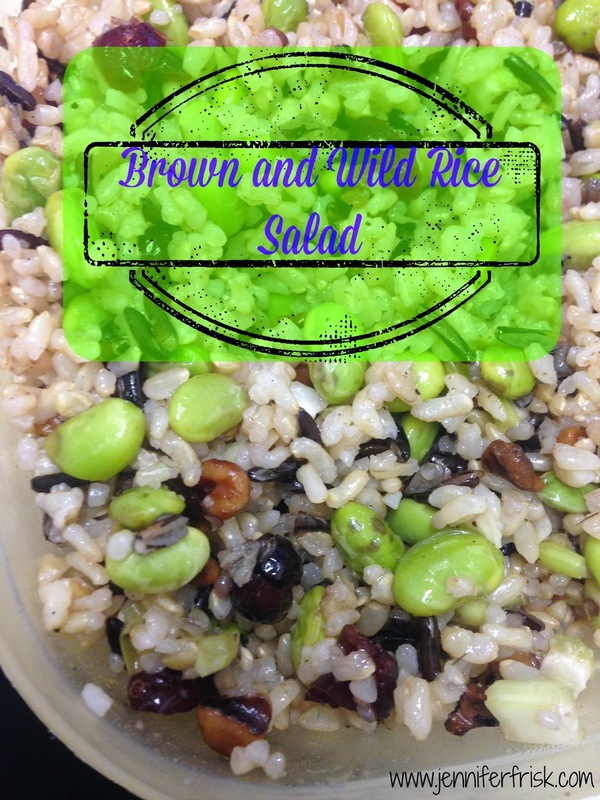 Combine rice, edamame, cranberries, pecans and celery in a large bowl. In a separate bowl, whisk orange juice, apple cider vinegar, olive oil, honey, salt and pepper. Toss dressing with rice mixture until well coated.